Linux 4.14, which is going to become the next Long Term Supported version, has been released a week ago by Linus Torvalds. As usual, LWN.net did an interesting coverage of this release cycle merge window, highlighting the most important changes: The first half of the 4.14 merge window and The rest of the 4.14 merge window. On the RTC subsystem, Alexandre Belloni made as usual a number of fixes and improvements to various drivers, especially the ds1307 driver. 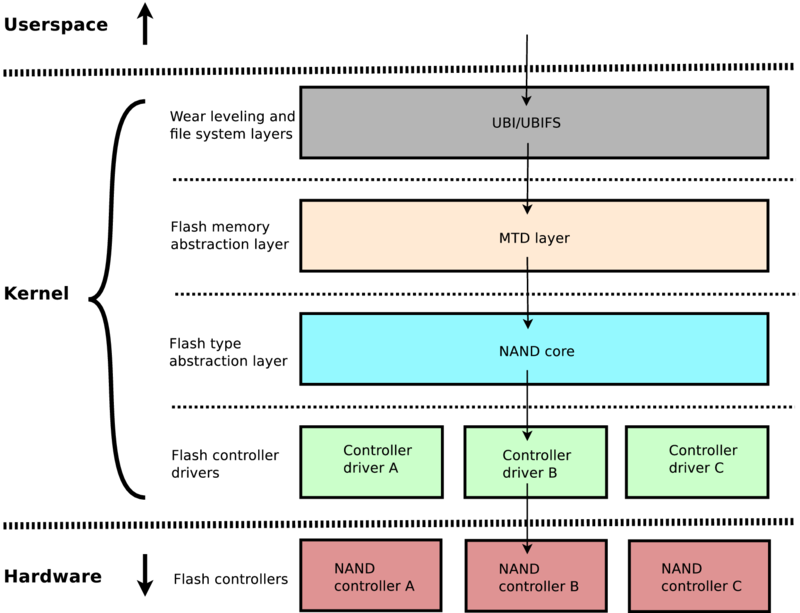 On the NAND subsystem, Boris Brezillon did a number of small improvements in various areas. Antoine Ténart improved the ppv2 network driver used by the Marvell Armada 7K/8K SoCs: support for 10G speed and TSO support are the main highlights. In order to support 10G speed, Antoine added a driver in drivers/phy/ to configure the common PHYs in the Armada 7K/8K SoCs. Thomas Petazzoni also improved the ppv2 network driver by adding support for TX interrupts and per-CPU RX interrupts. Miquèl Raynal contributed a fix for the Armada 3700 SPI controller driver. Maxime Ripard contributed the support for a new board, the BananaPI M2-Magic. Maxime also contributed a few fixes to the Allwinner DRM driver, and a few other misc fixes (clock, MMC, RTC, etc.). On the support for Atmel platforms, Quentin Schulz improved the clock drivers for this platform to properly support the Audio PLL, which allowed to fix the Atmel audio drivers. He also fixed suspend/resume support in the Atmel MMC driver to support the deep sleep mode of the SAMA5D2 processor. Boris Brezillon, as the NAND subsystem maintainer and MTD subsystem co-maintainer, merged 68 patches from other developers. Alexandre Belloni, as the RTC subsystem maintainer and Atmel ARM platform co-maintainer, merged 32 patches from other developers. Grégory Clement, as the Marvell ARM platform co-maintainer, merged 29 patches from other developers. Maxime Ripard, as the Allwinner ARM platform co-maintainer, merged 18 patches from other developers. 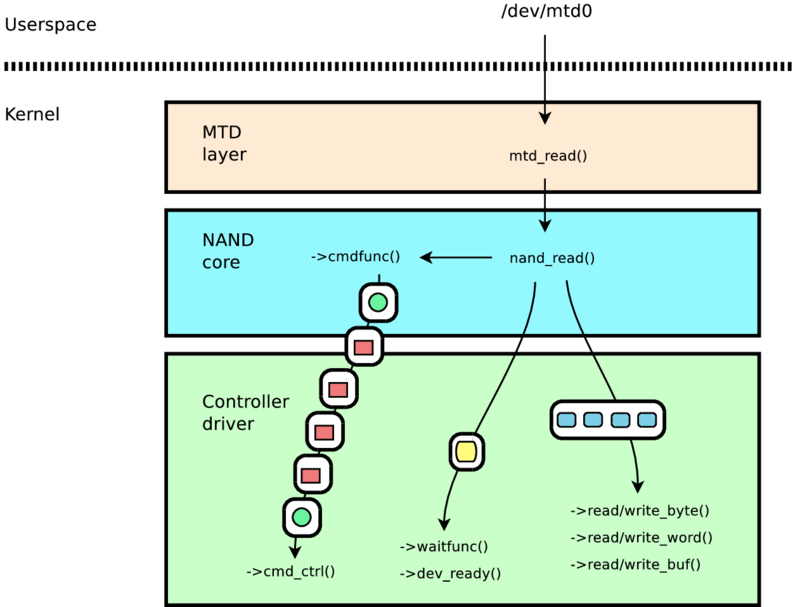 This flow of patches from kernel maintainers to other kernel maintainers is also nicely described for the 4.14 release by the Patch flow into the mainline for 4.14 LWN.net article. Linux 4.13 was released last Sunday by Linus Torvalds, and the major new features of this release were described in details by LWN in a set of articles: part 1 and part 2. This release gathers 13006 non-merge commits, amongst which 239 were made by Bootlin engineers. According to the LWN article on 4.13 statistics, this makes Bootlin the 13th contributing company by number of commits, the 10th by lines changed. Alexandre Belloni introduced a new method for registering RTC devices, with one step for the allocation, and one step for the registration itself, which allows to solve race conditions in a number of drivers. Alexandre Belloni added support for exposing the non-volatile memory found in some RTC devices through the Linux kernel nvmem framework, making them usable from userspace. A few drivers were changed to use this new mechanism. Boris Brezillon did a large number of fixes and minor improvements in the NAND subsystem, both in the core and in a few drivers. Thomas Petazzoni contributed the support for on-die ECC, specifically with Micron NANDs. This allows to use the ECC calculation capabilities of the NAND chip itself, as opposed to using software ECC (calculated by the CPU) or ECC done by the NAND controller. Thomas Petazzoni contributed a few improvements to the FSMC NAND driver, used on ST Spear platforms. 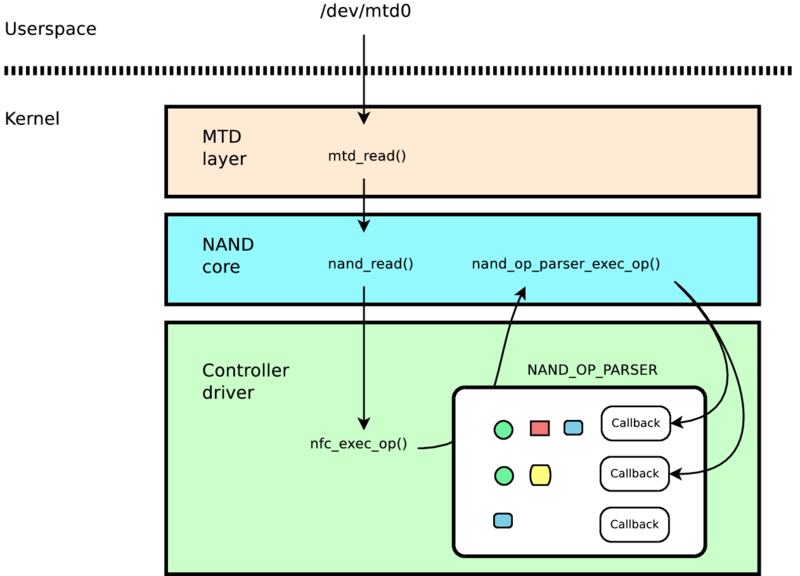 The main improvement is to support the ->setup_data_interface() callback, which allows to configure optimal timings in the NAND controller. Alexandre Belloni improved the sun4i PWM driver to use the so-called atomic API and support hardware read out. Antoine Ténart improved the sun4i-ss cryptographic engine driver to support the Allwinner A13 processor, in addition to the already supported A10. Maxime Ripard contributed HDMI support for the Allwinner A10 processor (in the DRM subsystem) and a number of related changes to the Allwinner clock support. Quentin Schulz improved the support for battery charging through the AXP20x PMIC, used on Allwinner platforms. Alexandre Belloni added suspend/resume support for the Atmel SAMA5D2 clock driver. This is part of a larger effort to implement the backup mode for the SAMA5D2 processor. Alexandre Belloni added suspend/resume support in the tcb_clksrc driver, used as for clocksource and clockevents on Atmel SAMA5D2. Alexandre Belloni cleaned up a number of drivers, removing support for non-DT probing, which is possible now that the AVR32 architecture has been dropped. Indeed, the AVR32 processors used to share the same drivers as the Atmel ARM processors. Alexandre Belloni added the core support for the backup mode on Atmel SAMA5D2, a suspend/resume state with significant power savings. Boris Brezillon switched Atmel platforms to use the new binding for the EBI and NAND controllers. Boris Brezillon added support for timing configuration in the Atmel NAND driver. Quentin Schulz added suspend/resume support to the Bosch m_can driver, used on Atmel platforms. 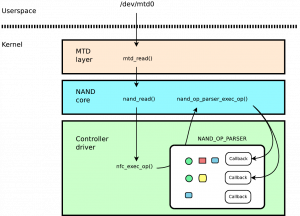 Antoine Ténart contributed a completely new driver (3200+ lines of code) for the Inside Secure EIP197 cryptographic engine, used in the Marvell Armada 7K and 8K processors. He also subsequently contributed a number of fixes and improvements for this driver. Antoine Ténart improved the existing mvmdio driver, used to communicate with Ethernet PHYs over MDIO on Marvell platforms to support the XSMI variant found on Marvell Armada 7K/8K, used to communicate with 10G capable PHYs. Antoine Ténart contributed minimal support for 10G Ethernet in the mvpp2 driver, used on Marvell Armada 7K/8K. For now, the driver still relies on low-level initialization done by the bootloader, but additional changes in 4.14 and 4.15 will remove this limitation. Grégory Clement added a new pinctrl driver to configure the pin-muxing on the Marvell Armada 37xx processors. Grégory Clement did a large number of changes to the clock drivers used on the Marvell Armada 7K/8K processors to prepare the addition of pinctrl support. Grégory Clement added support for Marvell Armada 7K/8K to the existing mvebu-gpio driver. Thomas Petazzoni added support for the ICU, a specialized interrupt controller used on the Marvell Armada 7K/8K, for all devices located in the CP110 part of the processor. Thomas Petazzoni removed a work-around to properly resume per-CPU interrupts on the older Marvell Armada 370/XP platforms. Boris Brezillon added runtime PM support to the HDMI encoder driver used on RaspberryPi platforms, and contributed a few other fixes to the VC4 DRM driver. It is worth mentioning that Miquèl Raynal, recently hired by Bootlin, sees his first kernel patch merged: nand: fix wrong default oob layout for small pages using soft ecc. arm: sunxi: Revert changes merged through net-next. At the end of 2016, the MIPI consortium has finalized the first version of its I3C specification, a new communication bus that aims at replacing older busses like I2C or SPI. According to the specification, I3C gets closer to SPI data rate while requiring less pins and adding interesting mechanisms like in-band interrupts, hotplug capability or automatic discovery of devices connected on the bus. In addition, I3C provides backward compatibility with I2C: I3C and legacy I2C devices can be connected on a common bus controlled by an I3C master. 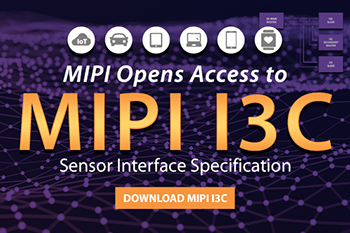 For more details about I3C, we suggest reading the MIPI I3C Whitepaper, as unfortunately MIPI has not publicly released the specifications for this protocol. For the last few months, Bootlin engineer Boris Brezillon has been working with Cadence to develop a Linux kernel subsystem to support this new bus, as well as Cadence’s I3C master controller IP. We have now posted the first version of our patch series to the Linux kernel mailing list for review, and we already received a large number of very useful comments from the kernel community. Bootlin is proud to be pioneering the support for this new bus in the Linux kernel, and hopes to see other developers contribute to this subsystem in the near future!